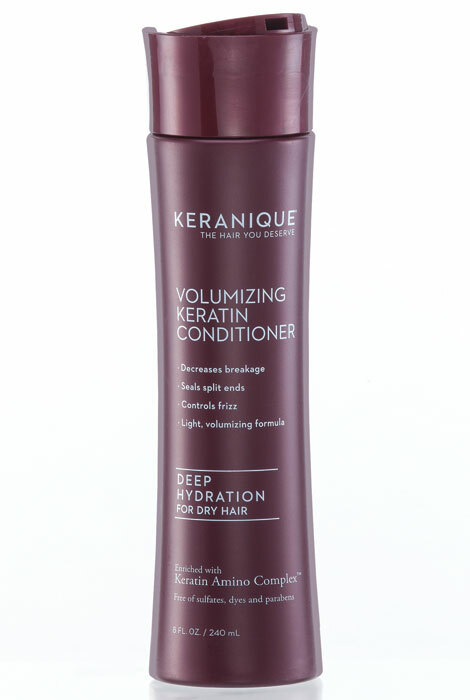 Unlike heavy conditioners that leave hair limp, Keranique® hydrating keratin conditioner uses a fortifying complex to deeply hydrate, protect and volumize even fine or thinning hair with a keratin enriched coating. 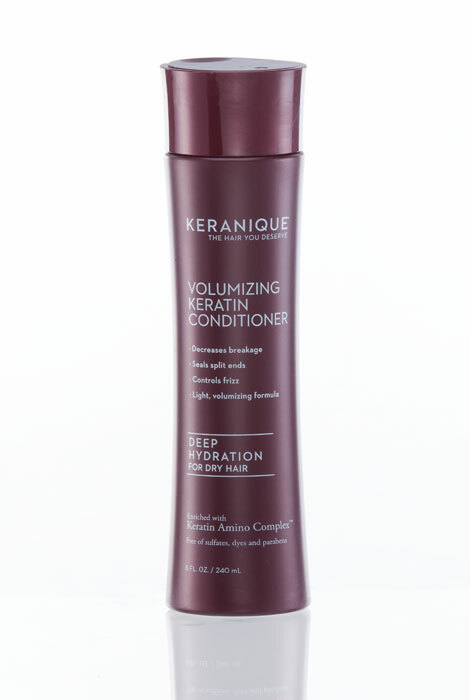 Designed specifically to quench and condition without weighing hair down, the sulfate-free keratin conditioner actually boosts volume, fullness and thickness. Beautifully balanced to moisturize and detangle without looking greasy or feeling waxy, it leaves hair soft and silky, while improving strength to protect against breakage. Work a small amount into damp hair and distribute thoroughly from scalp to ends. For best results, allow the product to sit for 1 - 2 minutes and rinse thoroughly. 8 fl. oz. Work a small amount into damp hair. Run through hair thoroughly from scalp to ends. For best results, allow the product to sit for 1 - 2 minutes. Rinse hair thoroughly. Towel dry hair. Follow with your choice of Keranique Hair Regrowth Treatment, featuring 2% minoxidil, or Follicle Boosting Serum for thicker and fuller looking hair. It looks like it works. Great reviews. I use Keranique hair products and have been for years.Best product on the market. I have a relative, that have used this product with some level of success.